Warriors launched the new Premiership Rugby Cup with a comfortable bonus point victory over a youthful Sale side at Sixways on Friday evening. Warriors wing Josh Adams had the distinction of scoring the first try in the new competition, which has replaced the Anglo Welsh Cup, after just five minutes which set Warriors on their way to a fourth successive win in all competitions in October, three of them at home. Having rested players who had played in the majority of the first six Gallagher Premiership matches for the European Challenge Cup matches against Stade Francais and Ospreys, Warriors fielded a side that included five internationals with a sixth on the bench. 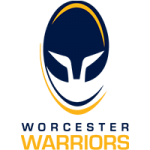 With ten players in the side who started in the Premiership win over Bristol Bears three weeks ago, Warriors had too much experience for Sale who opted to give first team experience to some of their younger players. Only in the first couple of minutes did Warriors look a little rusty but they were soon into their stride with Jamie Shillcock, who demonstrated his versatility by switching to full-back from fly-half, setting up Adams for the opener which Duncan Weir converted. 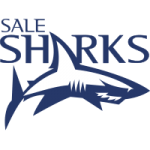 Sale pulled back three points when fly-half Kieran Wilkinson slotted a 15th minute penalty after Warriors were penalised for killing the ball in aruck close to the line. But with Matt Cox and GJ van Velze proving effective ball carriers, Warriors wore down Sale’s defence and Francois Hougaard burrowed over close to the posts for a try that Weir improved. The third try soon followed when Pierce Phillips won a lineout on the Warriors’ 1o metres line and a lovely break from Ollie Lawrence which shredded Sale’s defence and his centre partner Francois Venter supplied the finish. Weir’s conversion gave Warriors a 21-3 lead at the break but they were unable to capitalise when Sale went down to 14-men after wing Paolo Odogwu was sin-binned for a deliberate knock-on. Warriors came close to scoring the bonus point try when Ryan Bower was held up just short of the line then Matt Cox knocked on as he went over. But Warriors were not to be denied and it was lock Pierce Phillips who went over for the fourth try shortly after he had returned to the fray after a Head Injury Assessment. Weir banged over the conversion and left the pitch with a second successive 100 per cent record at Sixways as he was replaced by Perry Humphreys with Shillcock moving to fly-half. Warriors had to reshuffle further when Gareth Milasinovich was yellow-carded 13 minutes from time but it did not stop them from scoring a fifth try when they kicked three penalties to the corner and replacement flanker Matti Williams muscled over with Shillcock adding the extras. 15 Jamie Shillcock, 14 Bryce Heem, 13 Ollie Lawrence, 12 Francois Venter (Olivier 64), 11 Josh Adams, 10 Duncan Weir (Humphreys 55), 9 Francois Hougaard (Heaney 55), 1 Callum Black (Bower 45), 2 Jack Singleton (Annett 51), 3 Farai Mudariki (Milasinovich 33), 4 Anton Bresler (Phillips 53), 5 Pierce Phillips (Barry 45), 6 Matt Cox (Black 72-78), 7 Sam Lewis (Williams 68), 8 GJ van Velze (c). Replacements. 16 Niall Annett, 17 Ryan Bower, 18 Gareth Milasinovich, 19 Darren Barry, 20 Matti Williams, 21 Michael Heaney, 22 Perry Humphreys, 23 Wynand Olivier.